When I play NL cash games, I am continually looking to be aggressive because that is really how you get the money. But I am never foolishly aggressive, there is always a method to my madness. 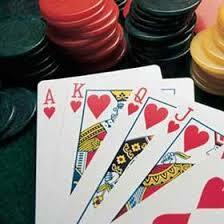 I am constantly betting and probing when I am in pots but I am never risking my entire stack. This is called Leverage and is something that is very important in poker. Many players play poker by the book and with fear, it is this that I set out to exploit and my aggression exploits this and is the secret as to how I win. If all my money goes in the middle then I either have AA or KK pre-flop or the nuts or close to it post flop. I don’t get involved in silly coin flip type situations. I know full well just how many coin flips on the bounce that you can lose…..and it is a lot believe me. I have stood on the end of a Roulette table for hour after hour and seen just how many reds can come over black and high numbers versus low numbers etc. 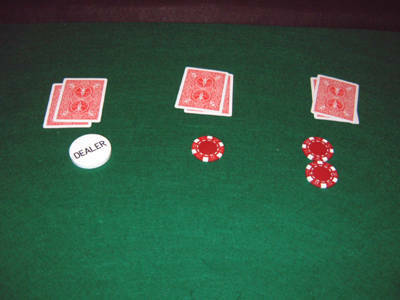 Whenever I sit down in any poker game, I know that there is a fair amount of dead money that will be coming my way. If I let my opponents get me into marginal situations pre-flop then they have dragged me down to their level and it is this that is the essence of “Kill Phil”. The book teaches players how to drag the pro’s into situations they don’t like, namely getting them all in as early as possible. No top pro will put his entire tournament on the line (if it is early and they have a healthy stack that is) with a hand like QQ or AK (suited or not). Why should they when countless opportunities will present themselves for them to take your chips. Even if they go in as favourite, when they are all in they are vulnerable to the poker gods and anything can and does happen. This same principle I apply to cash games, I won’t put my entire buy in on the line unless I have a substantial overlay unless it is a certain specific situation (more on that later).